Somehow we imagine that the Righteous Brothers had many more hits on the U.K. charts than they did. They had seven hit records in the 1960s, although they also managed to have a hit twice during the decade with their perennial, 'You've Lost That Lovin' Feeling'. This song has been such a towering success that it almost inevitably over-shadows their other records; great as it is, as fresh today with its amazing Phil Spector production as it was when it was recorded in 1964, the duo released a string of fantastic records, with their trademark vocals and clever choice of material. 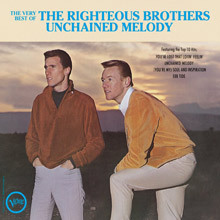 The cream of their 1960's recordings can be found on The Very Best Of The Righteous Brothers - Unchained Melody. Bobby Hatfield, from Beaver Dam, Wisconsin and Bill Medley, from Los Angeles got together in 1960 after leading their own local bands for several years in Southern California's Orange County. Their debut, as The Paramours, was at a high school prom at The Charter House in Anaheim, followed by an extended booking at The Rendezvous Ballroom in Balboa, California. Their first single, 'That's The Way We Love', was in 1961 on the Smash label; it was not a hit nor was the follow-up, 'Cutie Cutie'. A label change to Moonglow for 'That's All I Want Tonight' in 1962 was equally unsuccessful. 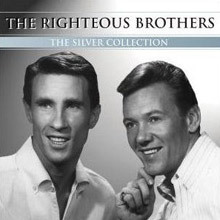 In an effort to change their fortunes they decided to call themselves The Righteous Brothers in 1963. Their name came about after the audience at the Black Derby, a club in Santa Ana, California, paid tribute to the two white singers 'black vocal sound' by chanting after the performance 'that's righteous, brother'. Their first single under the new name, still on Moonglow, was Medley's 'Little Latin Lupe Lu'. The song went down so well on their live shows that it was released as a single, becoming the first of nearly two dozen American hit singles when it got to No.49 in the spring of 1963. Their follow-up, 'My Babe', was less successful, only making No.75 in the US later in the year. Spotted in a Sunset Strip nightclub by ABC‑TV producer Jack Good, the duo was signed to appear on television on a semi‑regular basis on The Steve Allen Show and Shindig. It was on the latter show that the two singers purveyed their new, if short‑lived, dance creation "The Righteous". On the fashion front, their brief flirtation with knee length jackets, high collars and wide, flat hats was soon discarded in favour of more sensible clothes. With their 'blue‑eyed soul' appealing to both black and white teenagers, Phil Spector took them into the studio in summer 1964 to record a Barry Mann/Cynthia Weill song. 'You've Lost That Lovin' Feeling' not only topped the charts on both sides of the Atlantic but in many countries around the world. On the Billboard charts, Medley and Hatfield charted six more titles that year, including 'Just Once in My Life', which made No.9 (a decade later the Beach Boys did a wonderful cover of the song) and 'Unchained Melody' which got to No.4. Of their American hits only 'Unchained Melody' was a hit in Britain, it got to No.14 in late summer. Their album, Classic... The Masters Collection not only features a great cover shot of the duo but also 18 of their very best recordings. The following year brought them four more hits in Britain, the first, 'Ebb Tide' made No.48 (US No.5), and was followed by '(You're My) Soul And Inspiration' which made No.15; the latter song became their second No.1 single in America and was later covered by Donny & Marie of the Osmonds fame. 'White Cliffs of Dover' got to No.21 in Britain and then 'Island In The Sun' made No.36 at the start of 1967. In America there were five more Hot 100 singles in 1966, the most successful being 'He', which made No.18. In 1967 there were no more British hits, and just two lowly placed US hits. Most of the duo's hits in the 60's were on the Verve label, a company that had previously been very much a jazz label, but having been sold to MGM had turned increasingly to pop, as well as signing Frank Zappa's Mothers of Invention. The duo spilt up in 1968, Medley recording solo, while Hatfield found a new partner in Jimmy Walker who had been in The Knickerbockers. Medley went on to notch up three American hits in 1968; the most successful was 'Brown Eyed Woman', which got to No.43. Hatfield had a small solo hit, 'Only You (And You Alone)', which just scraped into the American top hundred in 1969. In Britain, 'You've Lost That Lovin' Feeling' was re‑released in 1969 when it made No.10 on the charts. Among Medley's solo records was A Song For You a fabulous album that he recorded for A & M Records; the title song by Leon Russell was later covered by the Carpenters. After five lean years, Medley and Hatfield teamed up again in 1974 to have three American hits, the most successful being 'Rock & Roll Heaven', which climbed to No.3. In 1977 'You've Lost That Lovin' Feeling' once again entered the British charts and made No.42. In 1981 Medley was once again on the U.S. charts as a solo artist when, 'Don't Know Much' got to No.88 and the following year 'Right Here and Now' did a little better getting to No.58. In 1987 Medley joined forces with Jennifer Warnes to have a hit with '(I've Had) The Time Of My Life' from the film Dirty Dancing; it topped the US chart and got to No.6 in the UK. The following year he had another solo hit with 'He Ain't Heavy, He's My Brother', which sold well and got to No.25. This was despite the Hollies re‑releasing their 1969 version of the song, which won the chart honours by going to No. 1. In 1990 the Righteous Brothers were again back in the charts, this time with 'Unchained Melody' which had been featured in the film Ghost. It got to No.1 in Britain and No.13 in the US. Not to miss a trick there was yet another re-release of 'You've Lost That Lovin' Feeling', this time the Karaoke perennial managed to get to No.3 in the UK. In all the song has spent 34 weeks on the UK singles chart. In 1995 actors Robson and Jerome took a double A-side of 'Unchained Melody' and 'White Cliffs of Dover' to No.1 – they were not so righteous. Bobby Hatfield passed away in 2003. 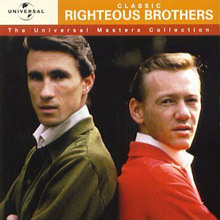 At 12 tracks, Very Best of the Righteous Brothers: Unchained Melody is considerably lighter than the ambitious double-disc Rhino Anthology, and it doesn't cover nearly as much ground; in other words, no "Rock &amp; Roll Heaven" or any other '70s material is here. However, for those listeners who want a straight-up dose of the biggest Righteous Brothers' hits, this offers the peaks of their peak, highlighted, naturally, by "You've Lost That Lovin' Feelin'," "Unchained Melody," "(You're My) Soul and Inspiration," and "Little Latin Lupe Lu." 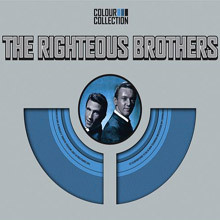 Bill Medley's emotive baritone and Bobby Hatfield's elastic tenor combined to make the Righteous Brothers the very definition and standard of blue-eyed soul. This collection has their biggest and most innovative hits, including "Soul and Inspiration," "Unchained Melody," and the phenomenal "You've Lost That Lovin' Feeling." Also included here are inspired covers of Stax classics "Hold On I'm Coming" and "In the Midnight Hour," as well as a solid take on the Doc Pomus gem, "Save the Last Dance for Me," making this compilation a nice choice for listeners who want a little more depth than the budget releases can offer. 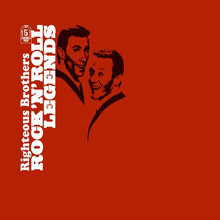 This 10 track compilation released in 2007 is a concise collection of songs by the duo of Bill Medley and Bobby Hatfield who dominated the airwaves in the early 1960’s with hits like ‘Unchained Melody’, ‘The White Cliffs of Dover’, ‘My Prayer’, ‘In the Midnight Hour’ and ‘The Great Pretender’. This album features 18 of the duo’s finest songs including ‘Unchained Melody’, ‘You’ve Lost that Lovin’ Feeling’ and ‘Ebb Tide’. Although they had a handful of solid hits in the 1960s, the Righteous Brothers will always be remembered for the masterful "You've Lost That Lovin' Feelin'" from 1964. Written by Barry Mann and Cynthia Weil and produced by Phil Spector in his trademark Wall of Sound style, "You've Lost That Lovin' Feelin'" sets an ominous and emotionally ravished tone from its opening line ("You never close your eyes...") and then builds even more powerfully from there. Far from being another of Spector's brilliantly crafted teen symphonies, "You've Lost That Lovin' Feelin'" is instead a thoroughly adult one, and the desperation that builds in Bill Medley's lead vocal (and is echoed by Bobby Hatfield's impassioned call-and-response interjections) comes from a man who truly understands what has been lost and is facing the darkest night of his very soul. It is a phenomenal record, and the centerpiece of any album it is on, including this one, which collects the Righteous Brothers' essential '60s recordings. There are deeper and better compilations out there, but the bottom-line sides are here, including "Little Latin Lupe Lu," "(You're My) Soul and Inspiration," "Unchained Melody," "The White Cliffs of Dover," and, of course, the classic "You've Lost That Lovin' Feelin'." 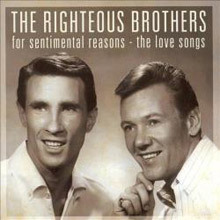 Eighteen amorous songs from the blue eyed soul duo The Righteous Brothers. All the wedding classics are included - ‘Unchained Melody’ and ‘(You’re My) Soul and Inspiration’. Released in 2006, this compilation was named after ‘I Love You for Sentimental Reasons’ which was written by William Best and Deek Watson – originally the B side of ‘Ebb Tide’ song in 1965 with the solo vocal performance of Bobby Hatfield.